Our factory-trained engineers provide professional advice and solutions to ensure the performance and reliability of our customers’ compressed air systems. We provide customised options for periodic service contract or on-call services in order to cater to the different operational requirements. Together with our well-stocked spare parts depot and rental support machinery, you can count on us to provide reasonable, quality and timely service! Use Genuine Parts to Avoid Major Problems and Reduce Wastage! 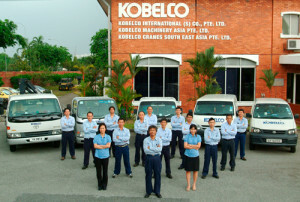 Click here to learn more about Kobelco's Energy Saving Analysis.